Arama is of Ngāti Maniapoto, Taranaki, and Ngāruahine descent. 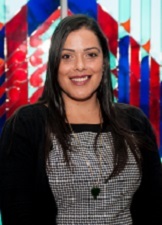 She completed her PhD in Psychology at Victoria University of Wellington in 2012, which focused on Māori cultural engagement, identity, and psychological well-being in State secondary schools. Arama then lectured at Te Kawa a Māui (the School of Māori Studies), where she received a Research Establishment Grant to study Māori collective remembering of the New Zealand Wars. Dr Rata is currently involved with research relating to Māori health experiences, Māori in rural communities, as well as iwi consultancy.